Alexis Vivinus was a Belgian bicycle maker who began his company in the 1890s. As many others did, he made the transition from bicycles to motorcars. 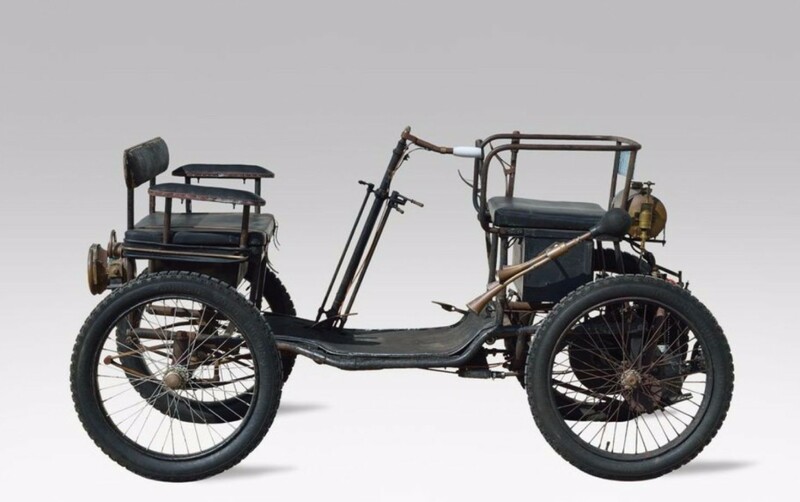 Ateliers Vivinus S.A. sold its first car in 1895 and was out of business in 1912. Mr. Vivinus then went on to work at Minerva. The first Vivinus cars were Benz’s built under license but the car you see here was one designed in-house. This single-cylinder car makes 3.5 horsepower and was simple and reliable to enough to be licensed by other manufacturers around Europe, including Georges Richard. The current owner of this car acquired it in 1986 from the same family that bought it new, which is pretty incredible. It was restored when purchased and has been well maintained since. 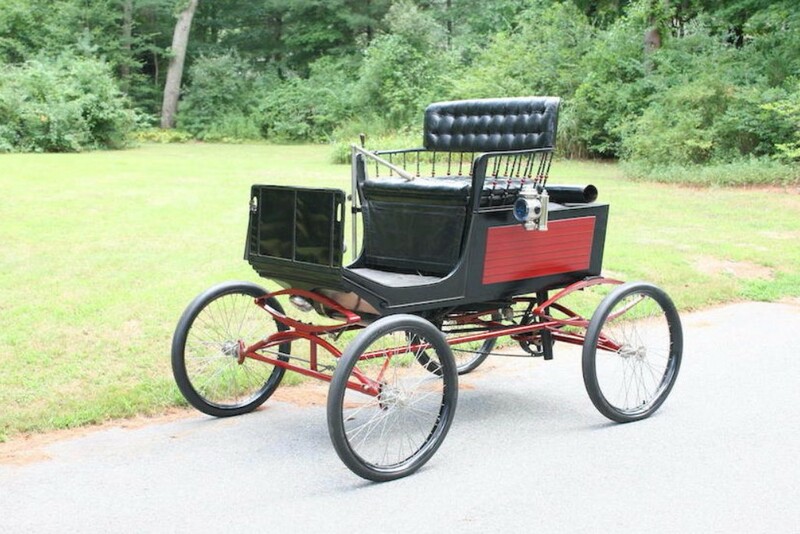 It’s a usable example of a well-built 19th Century car and it should bring between $26,000-$33,000. Click here for more info and here for more from Bonhams. Phebus was a French automobile marque produced by the Noe Boyer & Cie company from the Paris area. They only existed for a few years – building vehicles between about 1899 (or 1898) and 1903. While many of their vehicles were tricycles and motorcycles, they did produce a few four-wheelers, too. This is a single-cylinder Veteran car that makes, as its name implies, 2.25 horsepower. It technically seats two, but if you look at the car, it just kind of seems like a huge motorized wheelchair for one. I guess people were smaller almost 120 years ago. This particular car sold at a Bonhams auction in 2009 for $63,000 and is expected to bring between $64,000-$77,000. It seems unlikely that you’ll ever find another one quite like it. Click here for more info and here for more from this sale. Update II: Not sold, H&H Classics, Chateau Impney, 12/16. 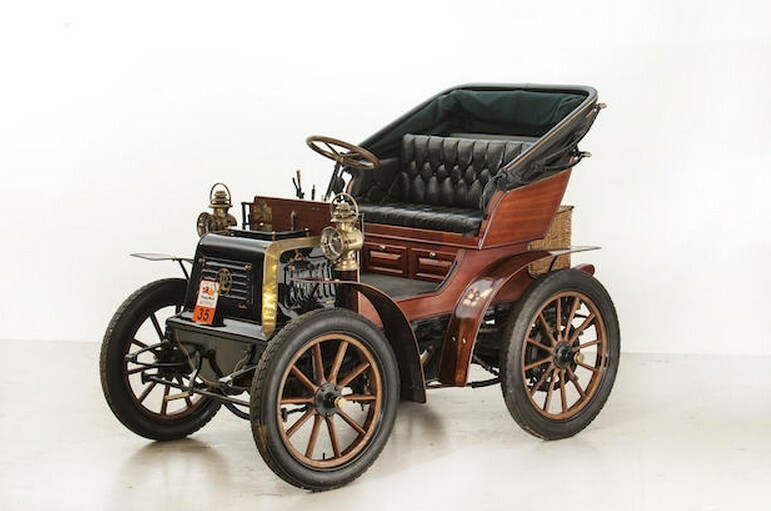 Around the turn of the century, Locomobile was among America’s largest automobile manufacturers. In fact, in 1901 and 1902, they were the largest (this was right before Oldsmobile and Ford reinvented mass production). The company was founded in 1899 by John B. Walker and Amzi L. Barber. 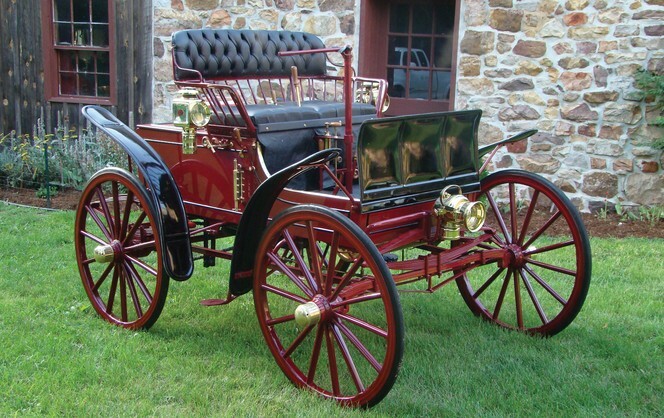 The two of them purchased a design by the Stanley brothers and sold their first steam cars in 1899. 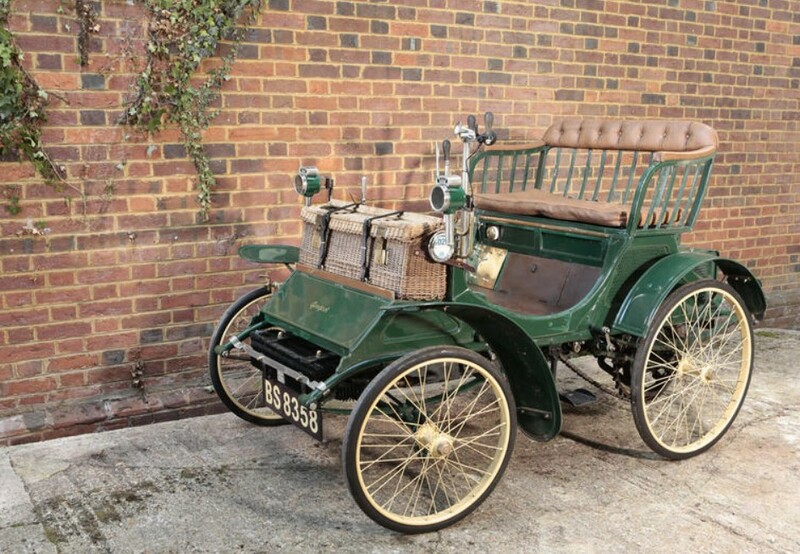 Costing $600 when new, the 1899 and 1900 Locomobiles were identical and only available in this body style. While they are rare, there are a good number of them still around and we’re amazed we’ve yet to feature one. The steam engine powering this Locomobile develops four horsepower at 150 psi. This particular example has had two owners from new with the family that currently owns it having acquired it in 1930. It was restored 60 years ago and is used infrequently, thus the decision to part with the car. It’s one of the best examples around with a clear, known history and it should bring between $45,000-$65,000. Click here for more info and here for more from this sale. 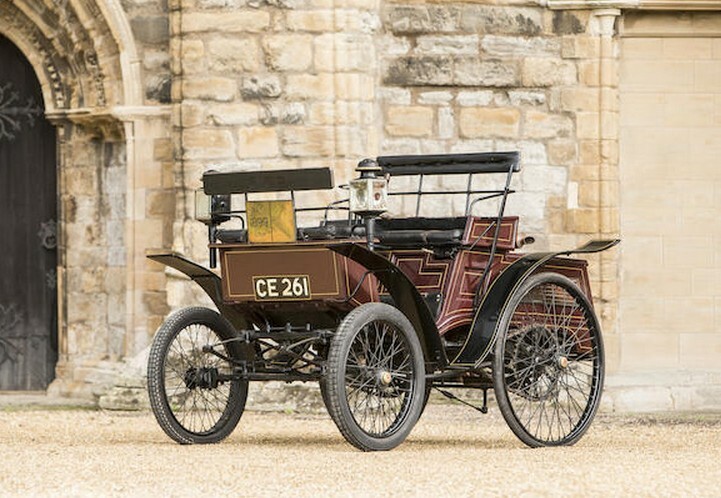 England’s Star Motor Company built its first car in 1898 and it was a German Benz vehicle built under license in Wolverhampton. The company continued to build this model through 1902. This car is one of those. The engine is a single-cylinder making 3.5 horsepower of Benz’s design. Star was one of England’s largest automobile manufacturers before WWI. A series of ownership changes, coupled with the Great Depression, spelled the end to what could have been one of England’s biggest post-World War II automakers. This car has known ownership back to 1932 and it was restored in 1954. It has run in over a dozen London-to-Brighton runs – going back to 1938! For the past three decades, this car has been on museum display, so it’ll need a little work to get it roadworthy – but it looks great considering the restoration is over 60 years old. It should sell for between $92,000-$110,000. Click here for more info and here for more from this sale. Peugeot is one of, if not the, oldest continuously operating automobile manufacturer in the world. The company goes back to 1810, when they were producing coffee mills. 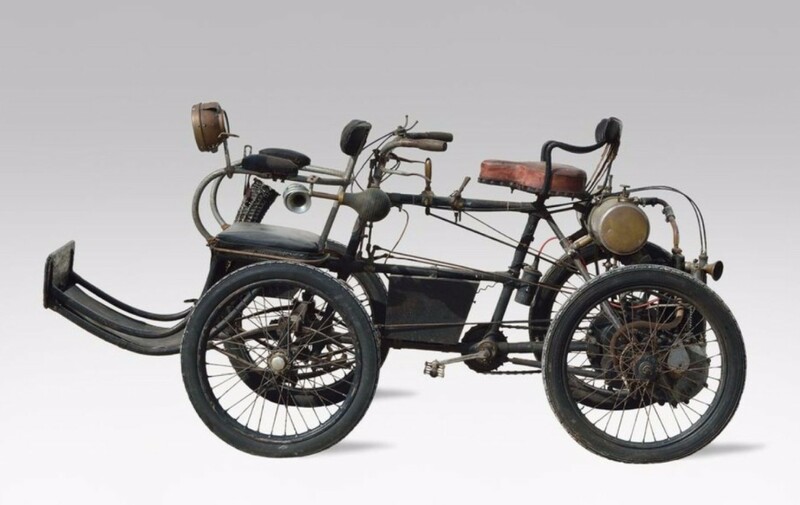 They started building cars in 1890 and Armand Peugeot left the family company in 1896 to found the automobile company we know today. I find it amusing that Peugeot designated this the Type 26 – many decades after it was built (like they went back and gave their early nameless models official names). 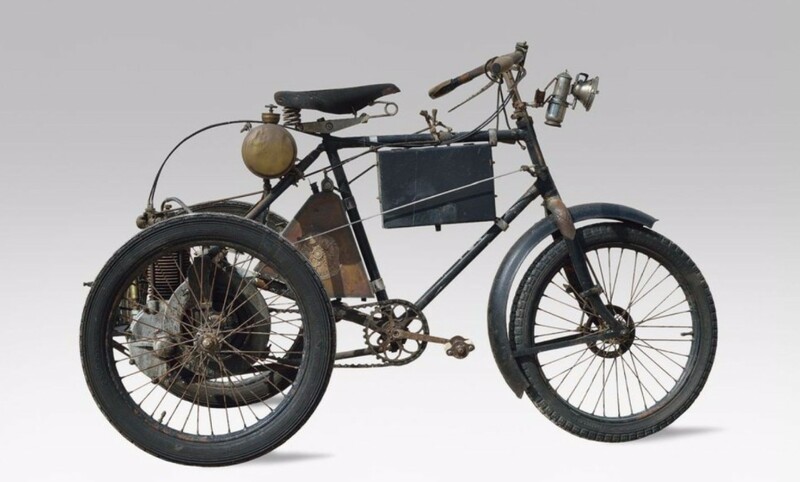 It was new for 1899 and uses a rear-mounted flat-twin. It’s known when and where this car was bought new but most of its history really isn’t known until about 2001. It’s a great car for old car rallies, and that’s where this car sends most of its time. It’s interesting to see a car from a modern manufacturer that is so old. It should sell for between $100,000-$120,000. Click here for more info and here for more from this sale. It’s incredible that cars like this survive. W. Lee Crouch began in a machine shop in New Brighton, Pennsylvania in 1895 when he built a gasoline-powered automobile. In 1896, he tried again, finishing the car and entering it in a race (where it did not finish). A few years later he was back at it, this time with steam. It is thought that Crouch only built three cars – the last two being steamers and this one being both the only survivor, and the only one built by the Crouch Automobile Manufacturing & Transportation Company in Baltimore. It is also thought that all of his previous creations were cannibalized for parts for this car, which uses a twin-cylinder steam engine that puts out eight horsepower (that was probably adapted for an automobile from some sort of marine engine). It features tiller steering and runs and drives great. 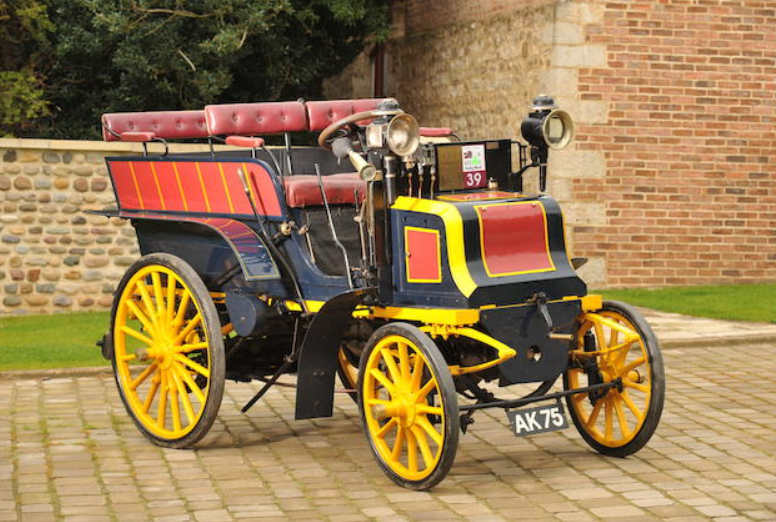 It’s a usable, pre-1900 steam car. The story is that this car was discovered in the basement of the original Baltimore Crouch factory during WWII, long after Mr. Crouch had moved on (he was in Ohio by 1914 trying to get a cyclecar company off the ground). It was sold to scrappers, who saved it. Stuff like that just doesn’t happen anymore. Anyway, this is the only Crouch in existence and it should cost between $60,000-$90,000. You can read more about it here and see more from RM here.